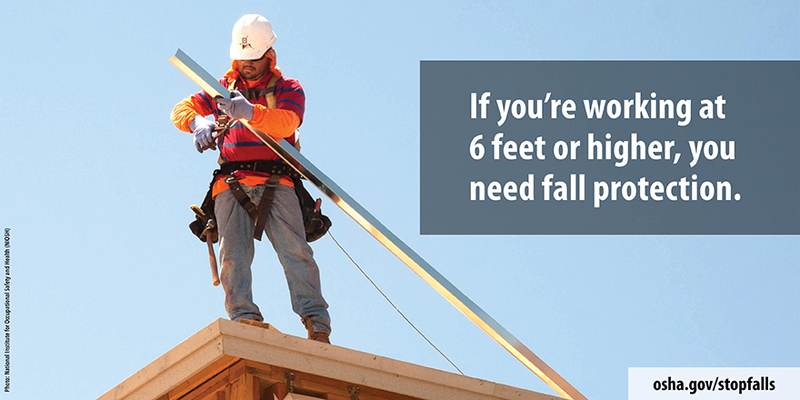 In the US, The National Institute for Occupational Safety and Health (NIOSH) and OSHA are teaming up to organize awareness campaigns such as the “National Safety Stand-Down” which is a voluntary event during which construction companies are invited to voluntary take time with their employees to focus on fall prevention. The next campaign will start on May 6 and last until May 10 2019. Hopefully more small businesses will participate.